Valentine chocolates – gifts of love and health! Valentine day approaching and the shops are tempting us with a cornucopia of very sweet and colourful confectionary – but if you are still sticking to your healthy New Year resolutions, the choice can be quite daunting… So here I give you a more virtuous but deliciously indulgent version. Crystalised ginger, a few pieces, but only optional! Cut the chocolate in squares, cut up the dates. Than put all in your best chopper (I use my Thermomix for the smoothest result) and mix at high speed for a few minutes until you get a glossy paste. DO NOT overwork it or the chocolate will melt ! Put in silicone moulds for individual chocolates (as above) or just roll bite size chunks in your palms and present them in a nice box or sachet to your Valentine with his Valentine day coffee. Garantie to score brownie points with any health-conscious foodie! 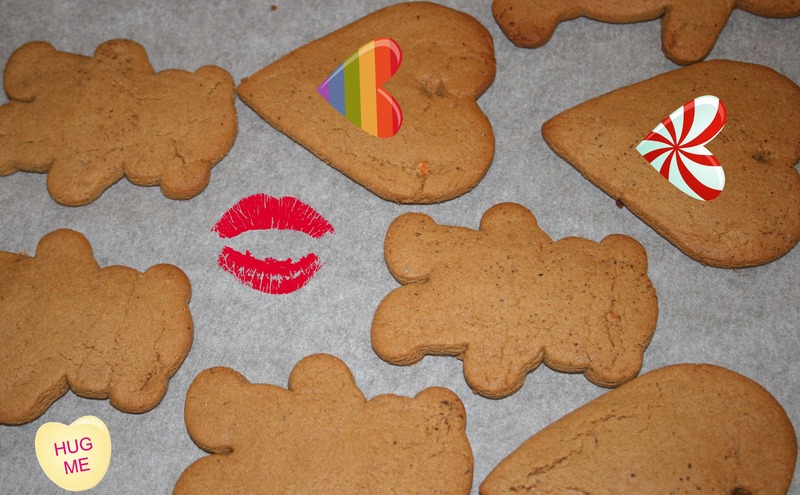 No need to be vegan either to appreciate the soft and creamy result – But take the best chocolate for the best taste, as always… My writing buddies loved them so much that I dedicate this recipe to our blue-stocking group – and their Valentines! HAPPY VALENTINE DAY EVERYONE! This year it falls on a sunday so plan to take him to a spa, an art gallery or just a favourite place / corner of the world- like Venice?!!! One of my handprinted Valentine cards/original print. 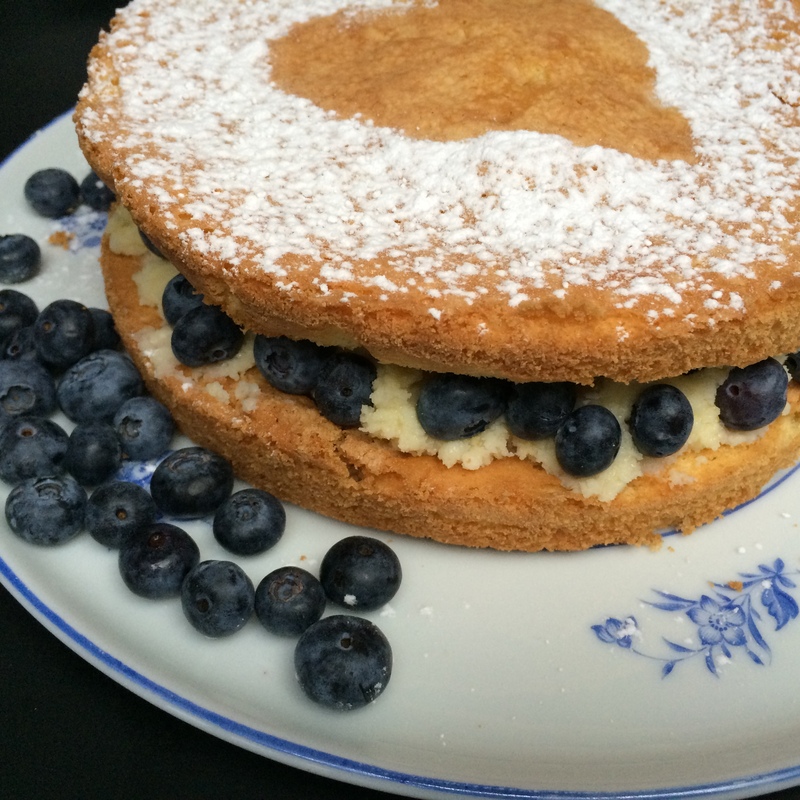 For Valentine’s day, I propose to you a very British classic : two layers of sponge cake with a butter cream filling with fruit. 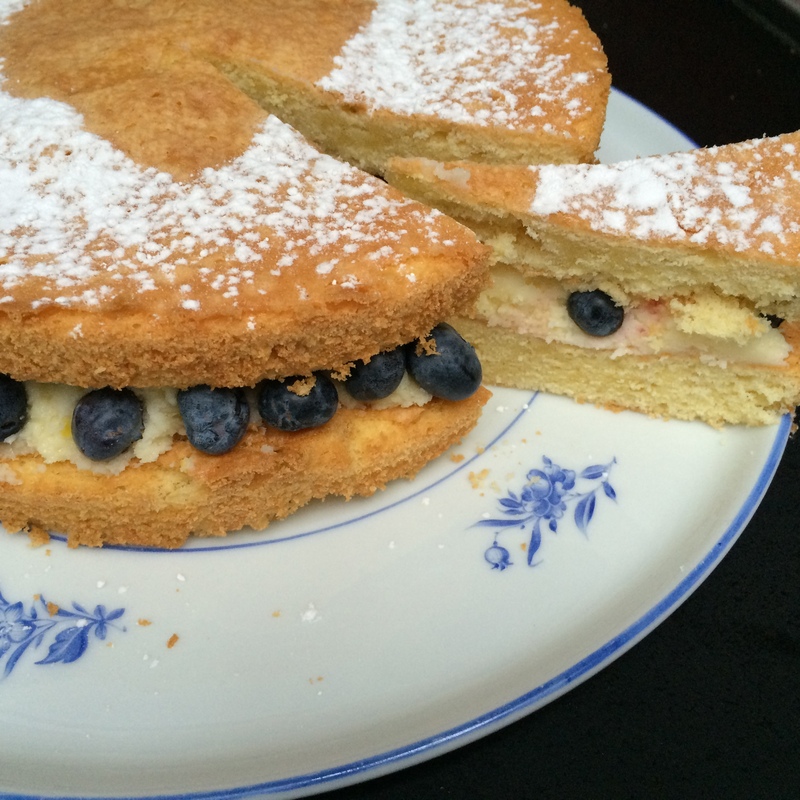 Nothing could be more traditional but if you are not used to sandwich cakes, it is a very nice way to celebrate a very anglo-saxon day! Do not forget a nice and corny card – or a very rude and inappropriate one!- and you are set for the tackiest day in the calendar! Joke apart, I actually quite like Valentine’s days because it is attached to fond memories and because a day celebrating Cupid is never a wasted day in my books. Tonight you should open a bottle and curl up on the sofa to watch a nice soppy rom-com like “Love Actually” or “About Time”. Something romantic and cute that will make you think that really “Love is all around”! Because it is – that bit is true! Nothing else really matters, does it?! Weight the eggs and then weight a similar amount of sugar, butter and flour. Reserve. 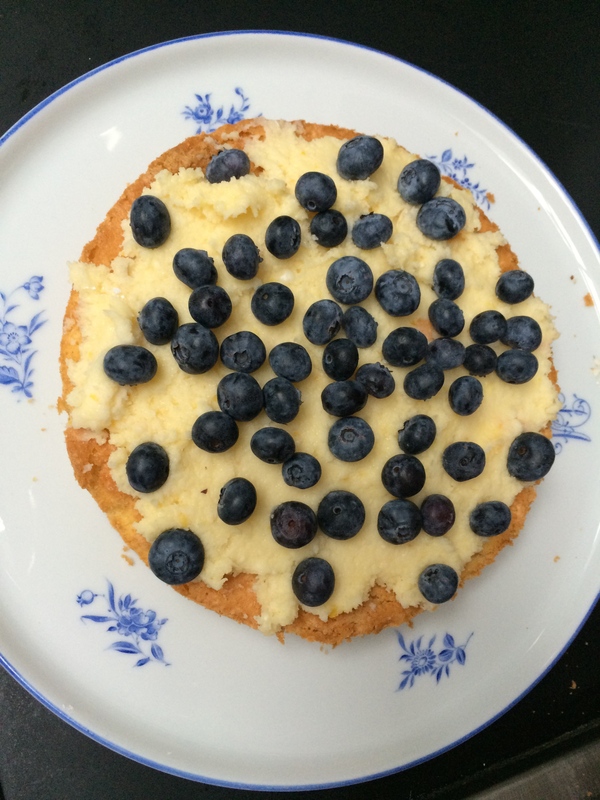 Cream the butter and sugar together, then add the beaten eggs and the flour in alternance. Mix the vanilla extract in. Beat the mix in with a whisk until light and fluffy. Divide in two shallow tins and bake at 180° for 25 minutes. Mix in a blender or with a whisk. Reserve. 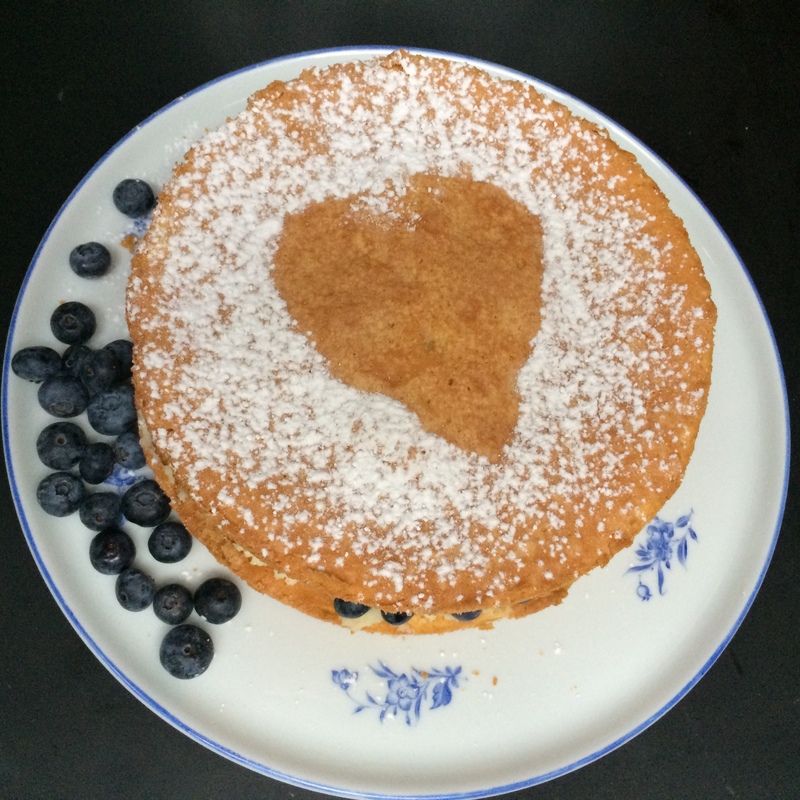 Spread the cream on one cake, lay blueberries on top, sandwich with the other cake and dust icing sugar to decorate – I used a paper heart as a stencil. For your valentine today, you can whip up elaborate and sophisticated cake contraptions, spend hours turning red roses out of sugar or you can opt instead for a long bath and a DIY blow dry before turning up at the theatre doors with a simple hand drawn card! In fact, go counter trend and don’t even SEND a card; better GIVE one to people you love – your sister, your son, your cat even! My Valentine does not need a card: he knows who he is!!! 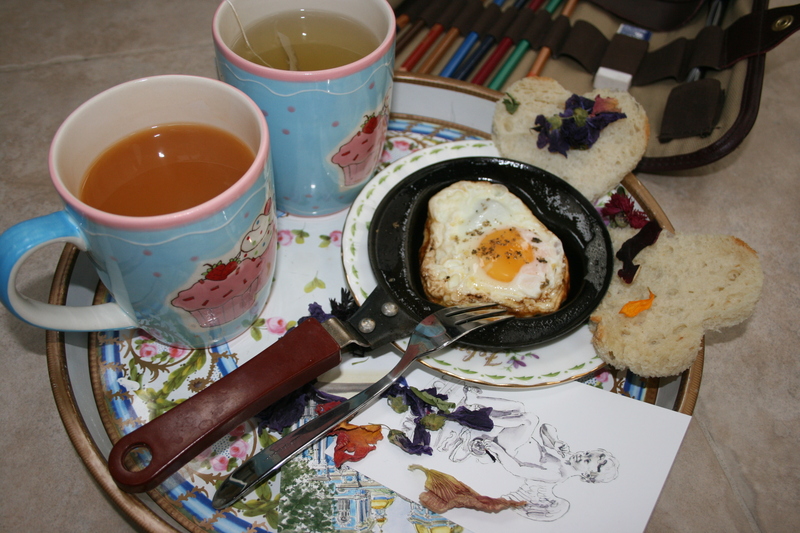 On the first morning we shared – a Valentine’s day morning mind you -I served him heart shaped fried eggs and a couple of heart cut French toasts in my tiny Holland road kitchen. Then I took a plane… And he sent a card after me that I never got! But we got engaged 6 months later. 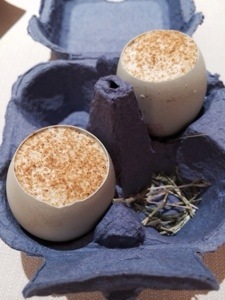 My lovers food of choice: two freshly laid eggs that were served to us at the Hibiscus on Maddox st. A real shell and inside, a reduction of mushroom topped with an “espuma” of chesnut and celeriac dusted with curry. Unforgettable. Valentine’s day is a day to put teenage gloom or adult cynicism on hold and celebrate LOVE! Actually, it is always essential to stop and celebrate LIFE, LOVE and the here and now… When I was younger, I despised the whole idea and pretended not to care for cards… I hardly thought an annual day for love was on anybody’s agenda but the chocolate makers. So here is my “Idea of the month”, none less. Self-raising flour 425g- I used chesnut flour for one third and the result was light and spicy but I had to add 1 tsp of bicarbonate of soda. 1 egg plus one yolk – keep the white for the royal icing later! Heat the oven to 150°. Mix all the dry ingredients into a big pot. Melt the butter, honey, sugar and treacle on low heat. Let it cool first, then mix it in the dry mix and add the eggs and lemon zest. Beat well until you get a creamy base. Reserve in the fridge for half hour. Don’t forget to line the baking trays. I use a reusable Silpat sheet on mine. Spread the dough on your working surface and roll it down to 1 cm. Then with a sharp knife or shape cutters, cut out the heart or teddies shapes and transfer them onto your tray. Bake for 30 minutes at 150°. The pieces will raise a little and take a nice brown colour. Don’t worry if they get a bit out of shape, you can always trim later. Take some coloured or white edible paper and cut out similar shapes, then write little kind messages (or saucy ones) with an edible ink pen or a bit of food colouring on a thin paint brush. Either scatter them in an envelope of handmade paper as I did in the first picture or stick them with a bit of sugar paste at the back of you gingerbread hearts and teddies and then decorate the other side with sweets and icing! More is more- on this occasion. 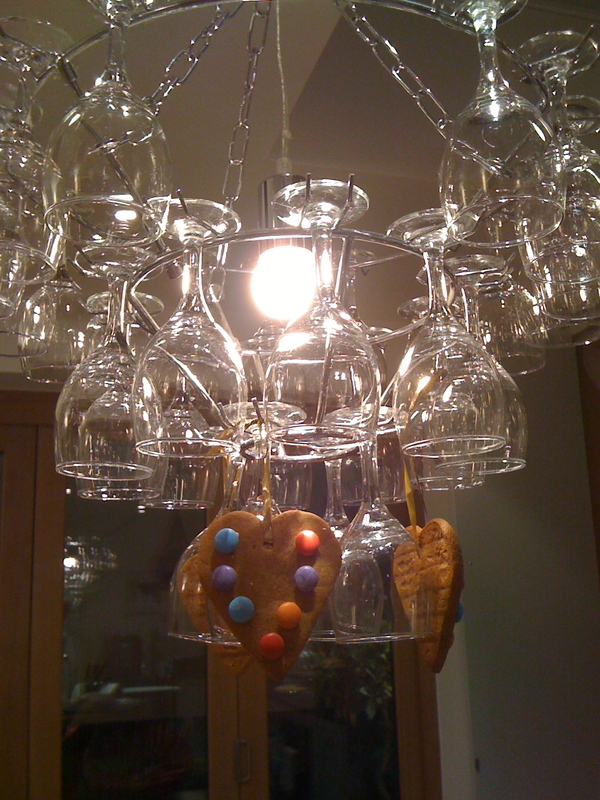 Hanging hearts and my new kitchen hanging light!